"The silent one in the west has awakened." A tantalizing message reignites Kragan's centuries-old fury to find and exterminate the unwitting young adversary prophesied to destroy him. One step ahead of her pursuer, Lorness Carol, a warlord's daughter and magic wielder, has led her people to a new stronghold in a verdant valley. Here, she's been reunited with Blade, the assassin she has loved since childhood. But her spell book holds the secrets to powers she never imagined - powers that are not only expanding her abilities but challenging her sanity. The characters we have come to know and love in Mark of Fire find themselves thrust into ever more ominous circumstances as the foul wielder of magic, Kragan, launches his allies to destroy them. Having settled in a new home within a cliff-lined valley, Lorness Carol Rafel strives to master ever greater magics. But her quest sends her spiraling toward madness, even as her love, the assassin known as Blade, fights to save her. The epic scope of this beautifully told story left me thrilled but wanting more. Caitlin Davies' narration is wonderful and I am thankful that book 3 of this series is just weeks away from release on Feb 20, 2018. 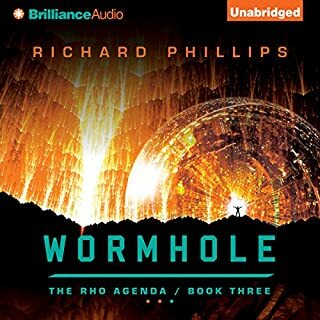 Picking up immediately after Wormhole ends, Phillips takes his sci-fi to a whole new level. 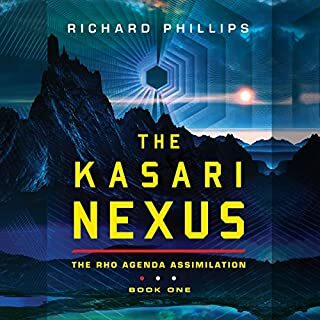 With alien technology running amok on Earth and with politicians promising to rebuild Dr. Stephenson's wormhole gateway, we get to experience the ongoing Kasari assimilation of the alien planet, Scion, through the eyes of Jennifer Smythe. With all of the heroes from his previous two Rho Agenda series under severe assault, it is amazing to see how these plot lines intertwine. 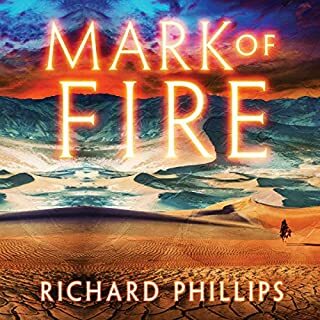 This is the first of Phillips's books not narrated by MacLeod Andrews and I was a bit skeptical at the beginning, but found myself really enjoying the voices that Alexander Cendese brings to this story. Fabulous listen. 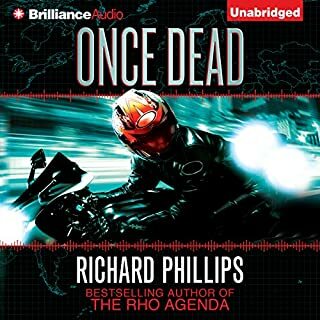 It was great to finally get to see the forces that end up drawing Jack "The Ripper" Gregory and Janet Price into the Rho Agenda trilogy that follows this prequel series. 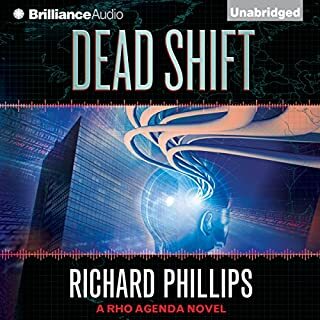 In Dead Shift, Jack finally meets an opponent who is his equal, as he continues his struggle to regain control of his mind from the alien being with whom he shares it, all the while contending with the impending release of an AI that could bring about the extinction of the human race. Finally, it was extremely surprising and satisfying to learn the true nature of Jack's alien passenger. You'll want to find a day when you have ten hours to immerse yourself without interruption. If you enjoy action and suspense, this is as good as it gets. Yes and I have already done so. The action is non-stop and the narrator is fabulous. Jack Gregory and Janet Price. These two characters from The Rho Agenda are fun to imagine. His character voices are great without being so over the top that it pulls you out of the story. His voice really brings the characters to life. There were several but to avoid spoilers I will vaguely describe three. The first is the scene in Poland at Kazimer's estate and the second is the hotel room scene in Prague. As for the climax, it is great from start to finish. You will have a lot of fun listening to this audiobook. 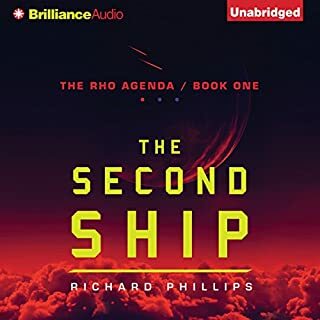 When the Rho Project’s lead scientist, Dr. Donald Stephenson, is imprisoned for his crimes against humanity, the world dares to think the threat posed by the Rho Project’s alien technologies is finally over. The world is wrong. 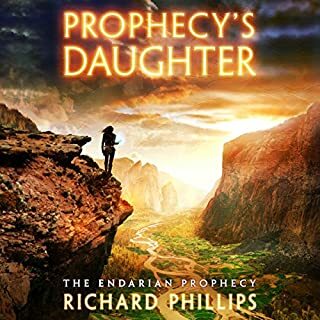 In Switzerland, scientists working on the Large Hadron Collider have discovered a new threat, a scientific anomaly capable of destroying the earth - and only Rho Project technology can stop it. Would you listen to Wormhole again? Why? I already have. These three novels of The Rho Agenda trilogy are like a three act play. The Second Ship introduces the main characters and presents them with a life changing problem. Immune focuses the attention of the government conspiracy and a brutal international assassin on our three young heroes, robbing them of their once comfortable lives, and launching them on a run for survival. Wormhole sets the scene for the final battle for our planet and, in a climactic crescendo that seems to span a third of the book, the action is rapid fire and unrelenting. I don't believe anyone that enjoyed a movie like The Avengers could listen to this third book only once. When MacLeod Andrews reached the end, I could only say, Wow! My favorite character is Heather McFarland. While this character begins the trilogy as a close approximation of one of the Walton daughters, as events shatter her life around her, she evolves into a leader, making tough decisions and viciously executing them, not without remorse. It's nice to see strong female characters that are central to the plot. I think he's great and this one ranks among his best performances so far. I tell you what boss, I wouldn't screw with her. The climax is one of the most mind boggling action sequences you will find anywhere. You're going to have fun with this one. I would recommend this audio book to my friends or to anyone who loves pure, unadulterated escapism. If you're looking for Arthur C. Clarke, may I recommend Arthur C. Clarke. If, on the other hand, you liked The Avengers movie, you'll love this story. It's a coming of age story about three high school juniors who stumble upon something both fantastic and horrible and find themselves transformed, becoming they know not what. Thrust into an adult world, they find themselves completely out of their depth as their once comfortable lives are shredded around them. On a deeper level, this is also a story about humanity attempting to make use of technological advances for which it is completely unprepared, raising very real questions about how much advancement is too much. If we can cure all disease, should we? This book is told from multiple perspectives and MacLeod Andrews does a fine job of subtly changing his voice to give you the sense of who is speaking during the dialogue without overdoing it so that you are jarred out of the story. Well told. This book is part one of a three part story. I really enjoyed the first act and look forward to the next two.